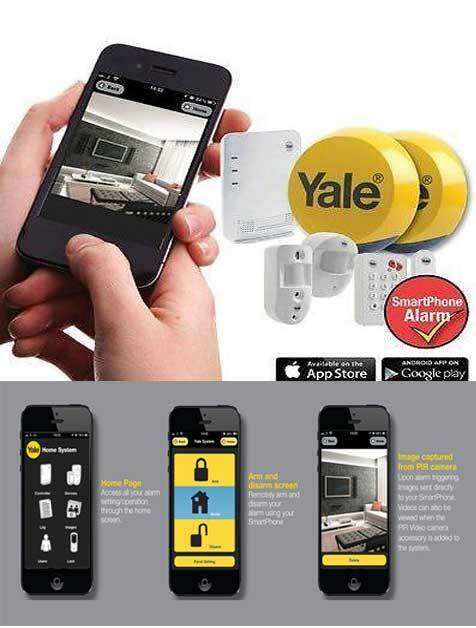 This article will give you some idea of what is involved to install the Yale Wireless Alarm and the step-by-step process we go through as an installation company. The engineer usually puts all the components onto a suitable work surface for programming in the system. A typical installation will comprise of the control panel, two wireless passive infrared sensors, two wireless magnetic contacts for the external doors and two wireless external self acting siren boxes for the exterior walls. As soon as you power up the control panel, it asks you for your own unique user code and then you ask if you would like to enter a second user code, which we usually decline. 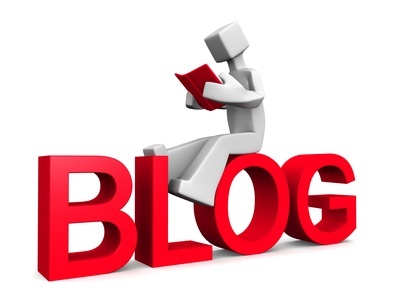 As you complete each step of the setup process you are then prompted to move on to the next step. Each detector has a removable plastic strip which allows the alkaline batteries to power the sensor. 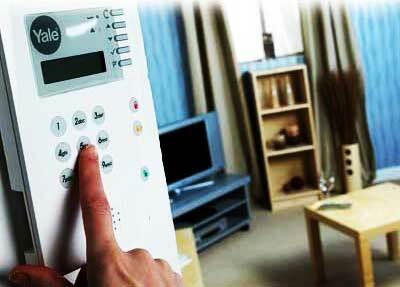 The next important step is to program in each individual component of the wireless alarm. The control panel asks you if you would like to add a sensor each time in the system by pressing the test button on each individual sensor. Each one then is acknowledged by the control panel. 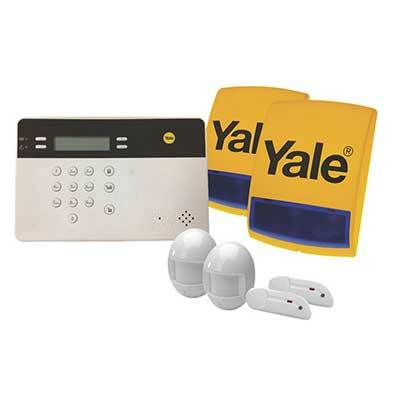 You can add up to 20 individual sensors on the Yale Wireless Alarm. You then move on to programming in the external siren box, which is the same process as the sensors, with the siren unit flashing and peeping to acknowledge that it has been included in the programme by the control panel after it has sent a test signal from the panel. The last important part of the programming is to go into the edit devices section and choose each individual magnetic contact or infrared sensor and decide whether it will be an instant alarm setting, entry setting or home setting. 1 Instant setting is exactly what it suggests, it means if that sensor is triggered when the alarm is armed you get the full alarm condition. 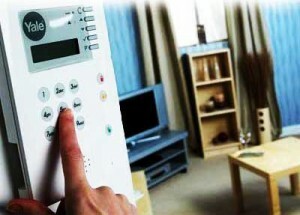 2 Entry setting means that any sensors that are triggered once the alarm is armed, will begin the incoming timer allowing the person to get to the control panel and switch off the system with their unique code number. 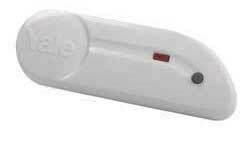 Usually the only sensor is set to entry and that is the one on the entrance door to the building. 3 Home setting means that if you press the home button instead of the full alarm button when arming the system, any sensors set to this setting will be omitted from the programme. An example of this is when if you have a passive infrared on the first floor landing next to the bedrooms. Now when you press the home button all the senses downstairs which are programmed “instant alarm” would immediately trigger the system, but the sensor upstairs on the home setting is omitted from the programme during the night allowing access to the bathroom. At this point the engineer has got a fully functional wireless alarm system set out in front of him on the work surface, the next step is to fix the main control panel to its desired location. If you’d like to improve the security of your autodialler you can connect it to a GSM gateway device which will turn the device from a landline autodialler into a wireless version. Now if the buildings telephone lines are cut from outside in an attempt to stop the autodialler working it will still send out the message to the wireless network. 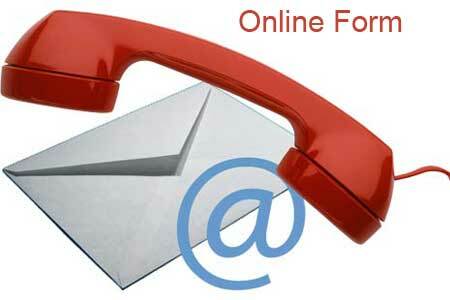 For more details follow this link GSM Gateway for conversion to Wireless Autodialler. The actual main control panel itself is usually fixed near to a power socket for the step-down transformer to be plugged in. Also there is the autodialler lead from the control panel which needs to be plugged into a telephone socket, so that also has to be nearby unless you intend to use extension leads for either the power or the telephone autodialler. 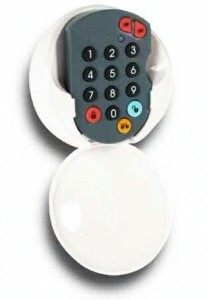 If this means that the situation of the control panel is going to be too far away from the entrance door to be to disarm the system quickly, it is sometimes a good idea to add an additional wireless remote keypad. 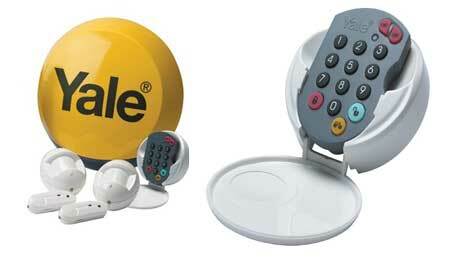 This allows you then to disarm the system quickly whenever the main control panel has been situated in the building. Often we will place the main control panel upstairs in a bedroom near to the additional telephone socket and set the control panel to be silent with no entrance timer audible. So if an intruder broke the entrance door open they would not be able to find the main control panel and autodialler easily and quickly, allowing the autodialler to ring out and send a warning message of the intruder being in the building. First put the control panel back into the programming mode and select walk test. The engineer then takes each individual sensor to its intended location and presses the test button on the actual sensor, at which point the control panel then peeps to acknowledge if it is in workable range with the main control unit. The panel also puts a visual name of that sensor for confirmation. 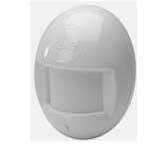 The wireless security alarm is now ready to have all the senses fixed into their desired locations. The magnetic door contacts have sticky adhesive pads, but we prefer to open up the actual wireless magnetic contact case and to fix the back plate to its desired location with the pad but then to also fix the backing plate permanently with a screw, so that it can never drop off. The passive infrareds are easily opened with one screw underneath and then there are designated knockout sections across the back where you can fix and screw the passive infrared to the wall. Finally when all the senses have been fixed in their location, it’s a simple process of testing each one by setting the control panel and triggering the system. The last function is usually to plug-in the autodialler and to make sure that it is ringing the designated numbers and playing the warning message. 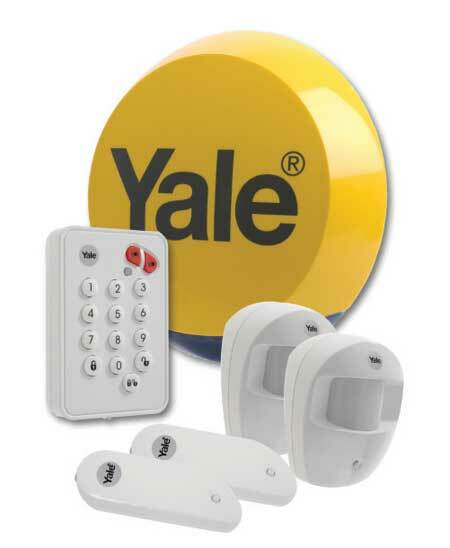 There are other functions of the Yale Wireless Intruder alarm, like the ability to be able to ring in on your buildings telephone landline and switch the wireless alarm on remotely from a mobile or landline number and test the system also remotely. There are also other useful features like the mobility mode, which allows the engineer to be able to program the system to need to pick up human movement within a set period of time and if it does not it would then send out a warning message that maybe somebody is ill in bed and not moving around inside the building. Usually this is a period of ten hours allowing people to be able to sleep during the night without the mobility warning going out. 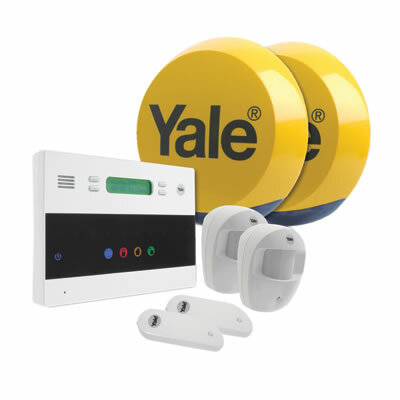 The Yale Wireless Alarm is an excellent piece of equipment and we offer an installation service and retail sales throughout the UK with friendly free advice available on request. 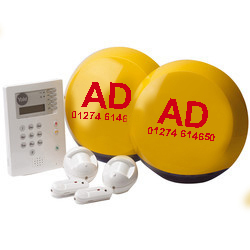 Contact Alan Davidson on (07813) 779273 Landline telephone (01274) 614650 alan@adalarms.co.uk We also offer to pre-programming wireless alarms to the customer’s requirements if they want to install themselves.